Masterchef celebrity and food critic Matt Preston has previously referred to pizza as the ‘8th wonder of the world’. I would have to agree. A good pizza and a glass of wine can be heavenly! So when I was asked to sample some new pizza bases from Bakers Delight, I was super keen. You see Pete and I live in Sydney’s Italian enclave, surrounded by the great pizza, pasta, cheese, bread and cannoli synonymous with the suburbs of Leichhardt, Haberfield and Five Dock. We love pizza! We literally live and breath the stuff. After surveying friends, family and work colleagues on what toppings they would use on their homemade pizza creations Pete and I held own our own little pizza party to try out the new bases. 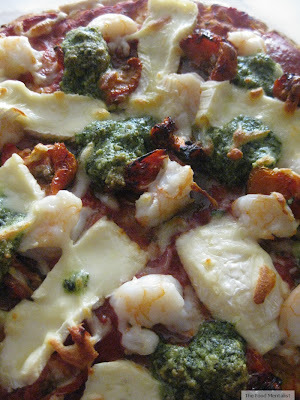 Interestingly, popular toppings included seafood, buffalo mozzarella, basil, a good tomato sauce and pepperoni. When I received them there were two plain and two herb and garlic bases. Right away I noticed they had that gorgeous fresh bread aroma. Delicious! Don’t you just love the smell of fresh bread? I also loved the fact that they were nice and soft – they are made and par-baked fresh daily in all 630 Bakers Delight stores across Australia. The bases retail for $4.00 for a pack of two and at the moment if you go to their Facebook page you can print off a voucher which entitles you to a free pack of pizza bases with every loaf of soughdough purchased. Bakers Delight products have always been a firm favourite with my family, largely because they have a range of products that are preservative free, fresh, well priced, and delicious. I have fond childhood memories of enjoying their cinnamon and apple logs with my grandparents for our afternoon teas on weekends. 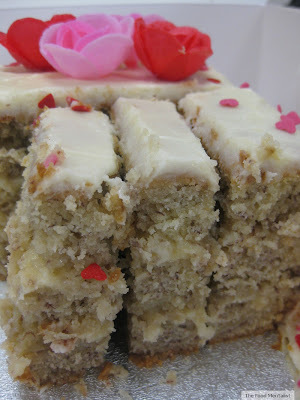 It was therefore a natural progression that I would experiment with sweet toppings on one of the plain bases. It just had to be done. But we can't go straight to dessert, so for our first savoury pizza Pete decided that we should go ‘traditional’ so we made a Margherita pizza – one of our all time favourites. This flavour combination really worked. You can’t argue with the classics, right? Next, I chose a seafood pizza combination. If you love prawns you really have to try this combo – its guaranteed to please. This was absolutely delicious and our favourite combination. 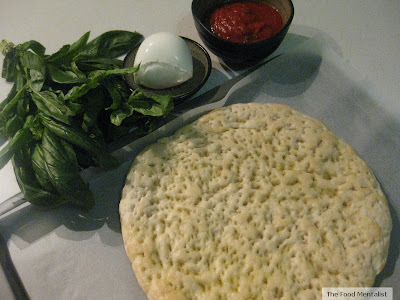 We both agreed that the pizza bases were perfect for the dessert pizza as they are quite thick. For our savoury pizzas we much prefer a thinner base and crust. That said, you can roll the Bakers Delight bases out to be a bit thinner but if like us you prefer quite a thin crust and base I would suggest using a good bread knife and splitting each of the bases into two. 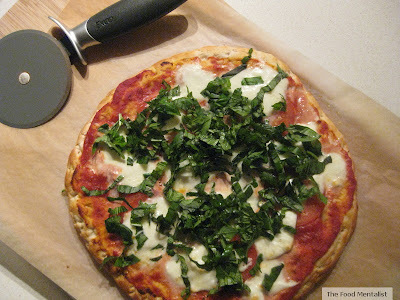 Families with kids will also love these bases because not only are they preservative free but the thicker base allows for you to add a lot more topping to the pizza as it holds its form really well which means less mess. So if you want something quick, fun and perfect for a night in, grab a pack of these pizza bases from Bakers Delight. Bakers Delight have also launched a Facebook Competition where you can enter your favourite pizza creation for your chance to win $5000 or one of four pizza ovens. For your chance to win enter here. The competition ends on 20 July 2011, so get in quick! I have entered two entries: The Classic Margherita and Strawberry Shortcake. If you would like to show your support and vote for one of these please do so here. In addition, Bakers Delight have kindly offered five gift vouchers to readers of The Food Mentalist so you too can sample this new product. To win one of these vouchers all you have to do is ‘like’ The Food Mentalist on Facebook and leave a comment below telling me what delicious toppings you will add to your Bakers Delight pizza base. Winners will be announced on here on Monday 18th July. The Food Mentalist sampled the new pizza bases courtesy of Bakers Delight. Oooh yay! I Bakers Delight white Vienna sourdough and recently discovered their Turkish bread too - you can really taste the freshness! 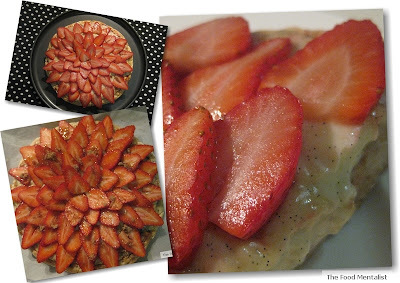 Id try to make your strawberry shortcake pizza...yummmo!!! Strawberry Shortcake Pizza !! I tried it out and served it with a pot of chocolate !! decadent !! :) ... GypsyWitch ..
i never knew they sold pizza bases! i have been dreaming of my pork and fennel pizza i made a while back, it was so delicious. My fave pizza topping would have to be nutella!